As the title states – I am not a fisherman although I have hauled in a few. As a kid living in Athens, Georgia I would walk to a local pond with a few buddies hoping to catch one of the “monster” large-mouth Bass. Countless casts with a small Diawa reel brought in many Brim – which always went back. 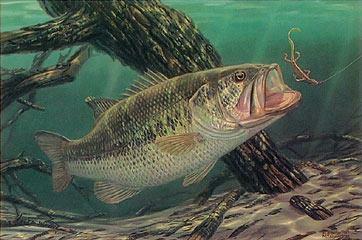 There was this one large Bass that I would see in the shallows on the east side of the pond. It was a monster and I tried to lure it onto my hook several times with no luck. One sunny, hot day I spotted The Beast in those shallows again and quickly put on a spoon lure. I cast just past The Beast and slowly reeled in the line bringing the three pronged hooked spoon closer. When just a few inches away I jerked the rod back hard and snagged The Beast in the side. The fight began as I reeled in the line and The Beast struggled hard creating a wake that I am sure could have been ridden with a surf board. As The Beast was almost to the edge of the pond I heard it. Yes. I heard that terrible sound that no one fishing ever wants to hear. SNAP!!!!! The line broke. Over the next year or so I would continue my fishing efforts in that pond. Once in a while I would see The Beast swim by – taunting me. I knew it was him by the shining spoon lure hanging on the his side. So – I am not a fisherman however fishing is one aspect of my food gathering system. My 11 year old is asking me to take him fishing. One weekend soon I am going to take him to a local river and maybe he will go after his own Beast. I am not a fisherman either, so I am not really planning on a lot of fishing equipment. What is going in there is the net from the old badminton set our kids had. Everything else is missing, but the net is some man-made fibre that keeps for ever, so it is as good as new, or maybe better, because it is no longer shiny white. I feel that putting a stop net across the nearest stream will be simpler and probably more effective than washing worms. I have not tried it out yet, but I also have an old piece of high voltage cable that I can attach to the bottom of the net to make it sink. I guess it should work, just anchoring the upper corners to bushes with string and leaving it overnight if necessary. For survival fishing the key is to acquire protein, not catch the lunkers or just the fish thought of as the elite fish, i.e. bass, walleye, trout, etc. If your state allows it, and mine doesn’t, trotlines, jug fishing, and yo-yo reels can produce a lot of catfish. Cast nets are also a very efficient means of getting fish. This too is illegal or restricted in most areas. Modern fishing is regulated to be a renewable resource for recreation, not for feeding oneself and family during a crisis. The most efficient means of gathering protein are going to be discouraged. If there is a collapse to the point where there are no game wardens it might be advisable to understand traditional people’s methods of getting fish, such as mentioned above along with fish traps and natural poisons like green walnut hulls. If you are going to stick to the hook and line fishing, then you need to target panfish. Bluegill/sunfish, yellow perch, crappie, rock bass, and etc are easier to catch than the prized fish and concentrating on them will consistently produce food. There is meat on the smallest fish, though cleaning them can be a chore, and is times of collapse any protein is important. Various types of so called trash fish are very edible and available and taking them with less sporting methods is allowed almost everywhere. The best of them are the invasive species like big head and asian carp that can be harvested with a spear or bow and arrow. These fish grow large and are much cleaner eaters than the common carp, they are bony and must be cleaned properly though. Fishing is a skill and requires time and effort to learn. It is a truism that 10% of the fishermen catch 90% of the fish. The advantage is that fish, being suspended in water, require less energy to produce protein than land animals making fishing more efficient than hunting. At the present I specialize in panfish. European methods of fishing are very productive using light lines with fluorocarbon leaders and small hooks and baits and either drop shotting with light floats or using a spinning bubble and an unweighted leader. Learning to read water and knowing where fish are likely to be is essential and books and articles will only teach you so much, you have to go out and do it. There is a difference is sport fishing versus survival fishing after the SHTF. By any means necessary to procure a meal will work. Whether it be using explosives, electrical, or oxygen depletion chemicals. Gill nets are light to carry and can catch a lot of panfish. Remind your son that it is called Fishing and not Catching for a reason…. Ever wonder for what purpose fishing lures are designed? To catch fish, you respond. Nay, they are designed first and foremost to catch that dollar in your pocket. If they do indeed happen to catch fish then they are all the more worthwhile. Hunting for the pot is the same as fishing for the survival meal. 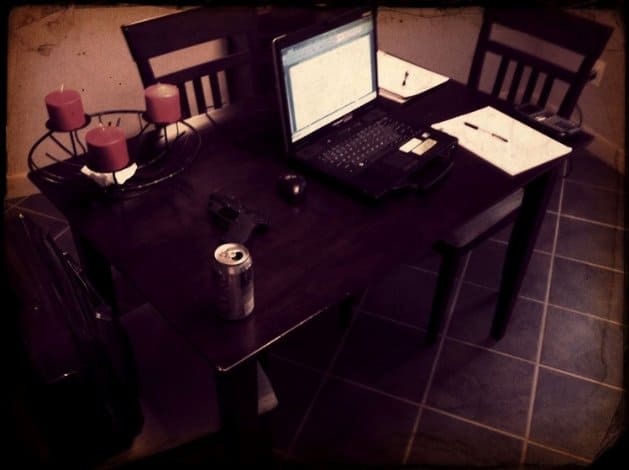 One hunts at night with NVG, and hunts over salt, etc. All of the good sportsman rules are set aside. Like the snare, gill nets are one of the all time great survival tools (if you live in a region with copious water and not the southwest of the US). My BoB has both gill net and snares. I have a property in an area with both water and black walnut trees. I remember when young, watching my father throw hundreds of black walnut husks (the green to black material surrounding the hull) into a very slow moving pool of water. To my amazement some time later, fish floated up and he waded in an gathered them by hand. Dad cautioned me that this was a ‘how to live off of the land demonstration, and not recreational fishing. That was 50 some odd years ago and I remember the lesson today quite clearly. Proper knowledge is more useful than tools in your kit, but proper tools do make things easier. You might want to try your hand at fly fishing so getting some flies is good. And a boat of some kind. Also, for a new fisherman, some troutbait.